Irizar is famed for its departure from the 'loaf of bread' shape of most coaches, and the i8 Integral continues that styling cue. It can talk the talk. The question is, can it walk the walk? 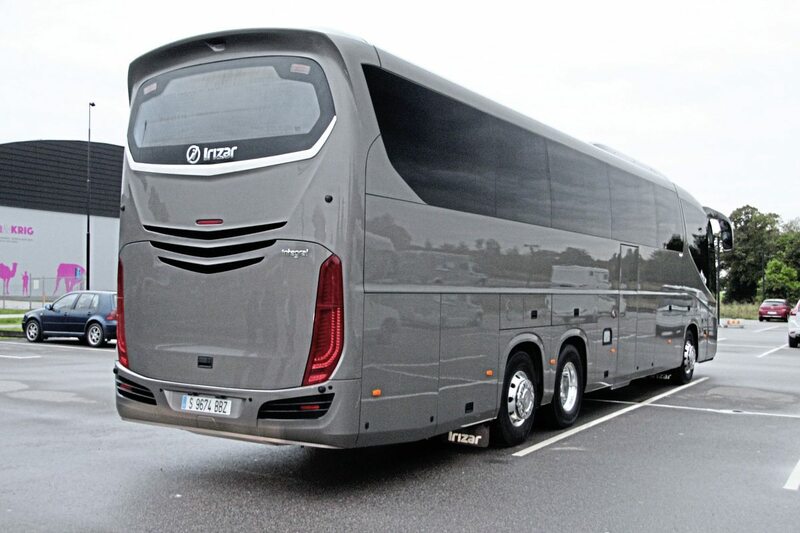 Successor to the PB, itself once a winner of the International Coach of the Year title when mounted on a Scania chassis, it shows the progress of Irizar’s move towards integral construction techniques. Just as stunning in appearance as the PB was in its day, albeit in a more timeless way and with far cleaner lines, it is a world away from the earlier model in quality of materials, finish and detail design. 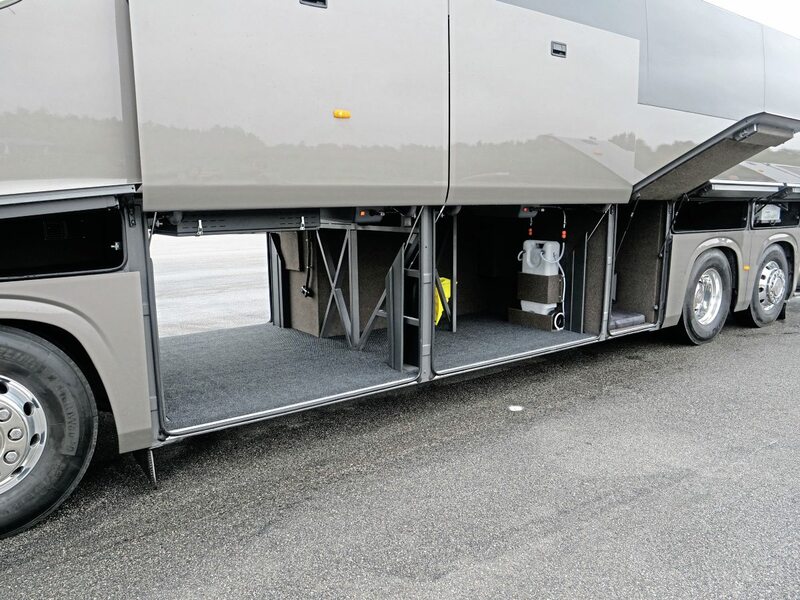 Framed in stainless steel as standard and clad in composites and aluminium, the integral tri-axle i8 is almost a tonne lighter than a similar chassis-mounted coach, although it is still possible for an operator to opt for a steel-framed i8 in order to reduce the cost. Four lengths are offered, all on three axles: 13.22m, 13.99m, 14.07m and 14.98m. 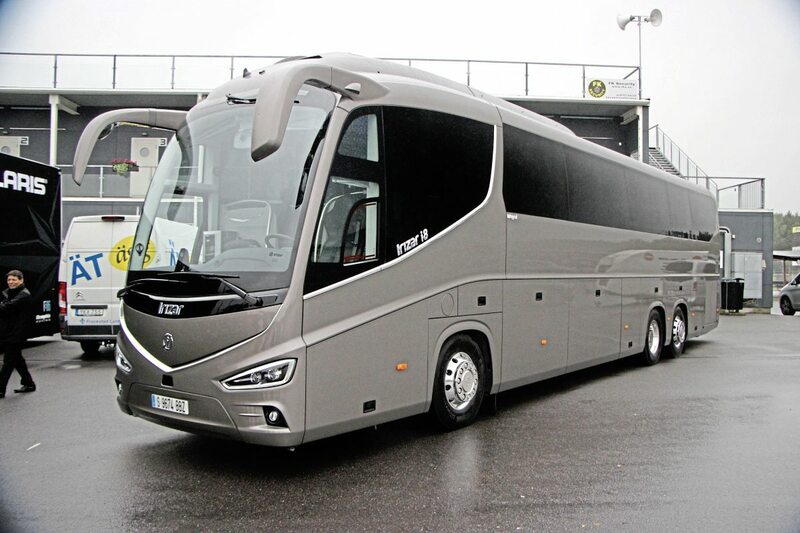 Literally in a class of its own among the candidates, as the only dedicated top end tourer, it prompted one juror to ask whether you could sell a premium coach in Europe without a Setra badge. I would argue that Van Hool and Neoplan had already proved the point in the UK and that the i8’s performance to date suggests it offers something discerning customers are looking for in all markets, with more opportunity to do so with the Travego and the Starliner now discontinued. Already over 1,000 i8s have been ordered or delivered so far, admittedly the greater part of them to the Mexican market (at 2.6m wide), but nevertheless the European tally is over the 200 mark. 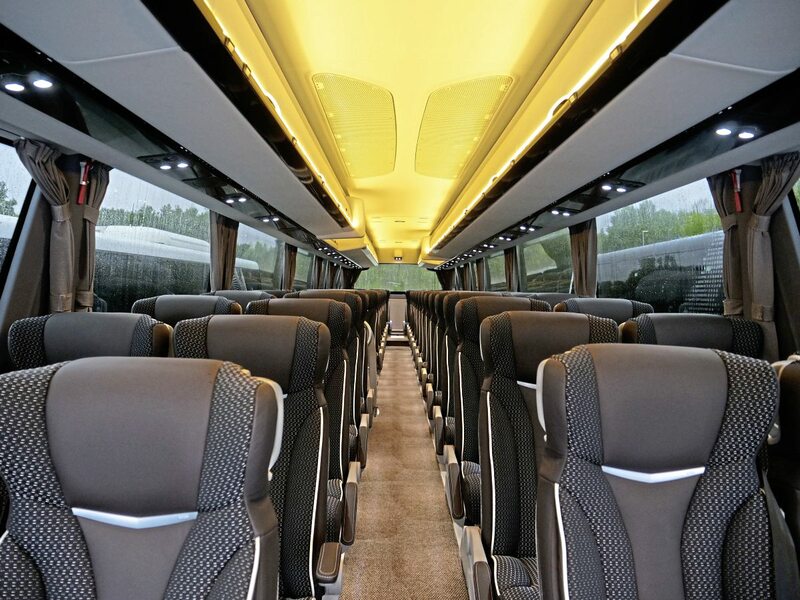 To maintain the exclusivity of its premium model, Irizar does not intend to offer the specifically-designed, well-appointed, i8 seats in other models as it had previously done in the i6 with PB seats. Two seat types are available in three executions and a range of extra options. 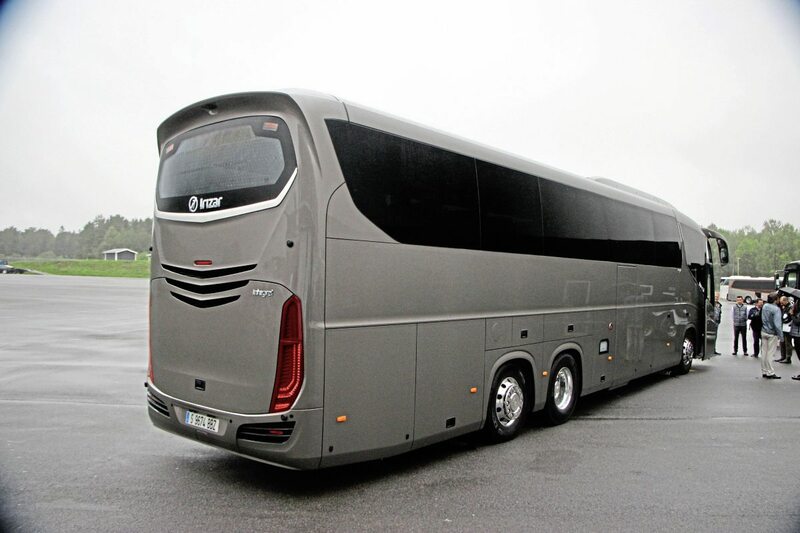 Designed and engineered by Irizar, they are built on their behalf by Vogel. All i8s have a flat floor which gives the possibility to offer 1+1, 2+1 and 2+2 configurations. Maximum seating capacity to European four star is 56 recliners and it was this layout that the coach entered featured. 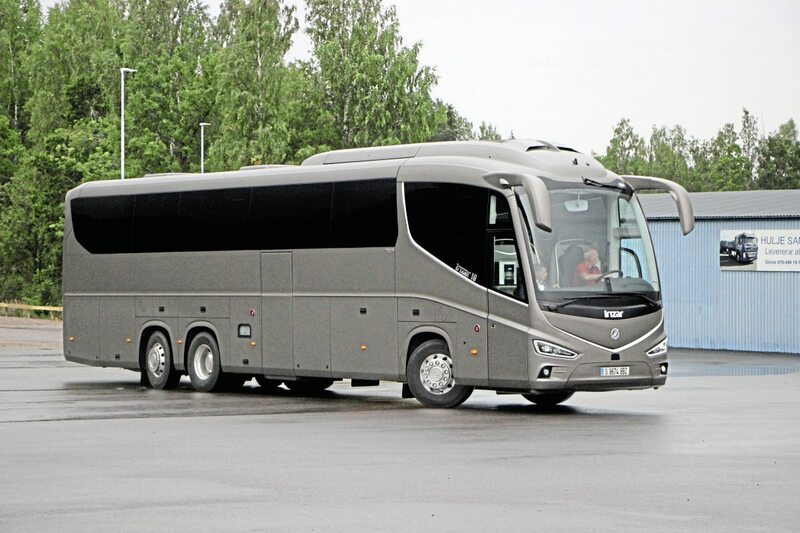 Irizar claims that on the journey from San Sebastian to Sweden, the unladen coach had recorded 24.4litres/100km (11.58mpg) and said that typical operator feedback suggested figures of 26litres/100km (10.86mpg). Further developments to come will see the new ZF TraXon automated manual offered as an option in conjunction with the DAF MX13 engine, with the prototype set to be running this year (the units are already there, I’ve seen them). 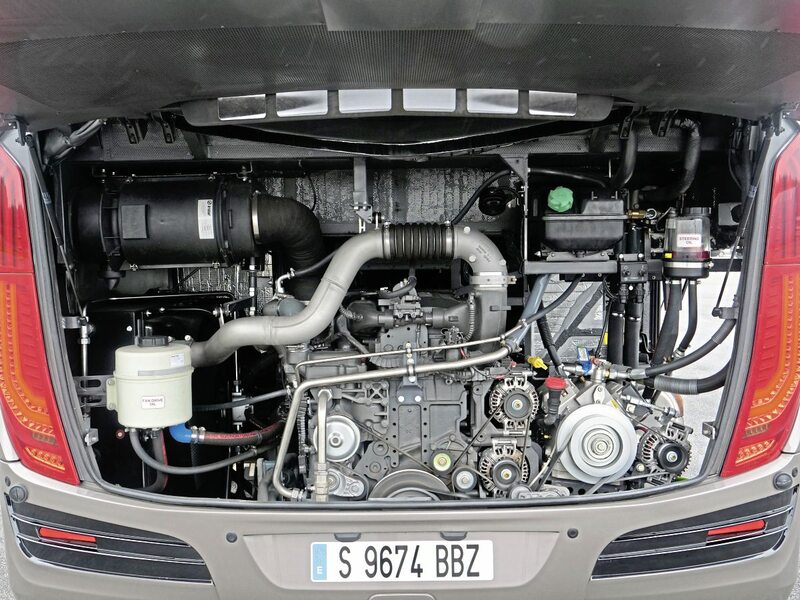 At Busworld will be an OBD6-engined i8 equipped with predictive cruise control, an option that will become available in the second quarter of 2018 followed by a new electrically-steered rear axle option and a new ZF direct-drive axle. 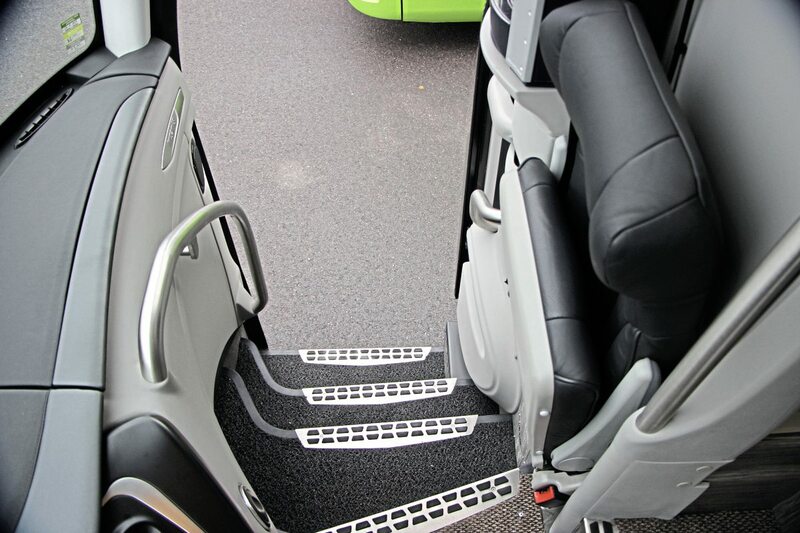 It is in passenger comfort that the Irizar scores, with a very quiet interior, particularly at the rear. Typical of the attention to detail and passenger comfort that the i8 showed was the way that the monitors were not hung from the central ceiling section but very neatly incorporated within cut-out sections of the racks. This looked good and avoided bumping the heads of passengers and crew with minimal loss of rack capacity. Lighting, lockers, and other key features were simple and elegantly executed. 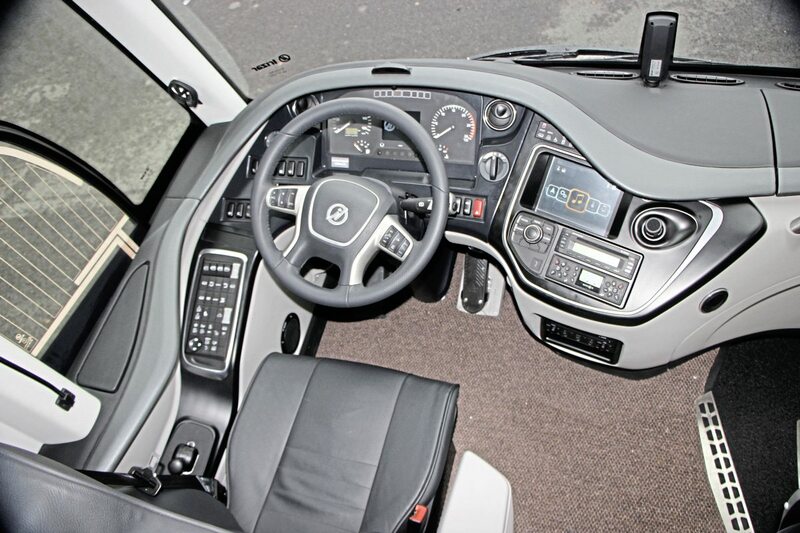 Driving was an enjoyable experience with a highly-praised dashboard layout, with driving controls to the front and passenger ones to the left, although there was criticism of the steering which was stiffer than most liked, and some could not see through the wheel when the seat was in the optimum position for them. Opinion differed as to whether having only a USB socket and no 12-Volt socket was a good thing. It was the only coach in which the mirrors enabled the driver to see all the way round the front and as far back as the front wheels. Some vibration was evident when idling at around 500 revs, and also a little low-down vibration when accelerating hard. On manoeuvrability, it was unsurpassed; surprising one jury member with its ability to execute a U turn.